Written by leading experts in the field, Quantitative Skin Testing for Allergy: IDT and MQT provides an invaluable guide to using quantitative skin testing methods in a modern allergy practice. 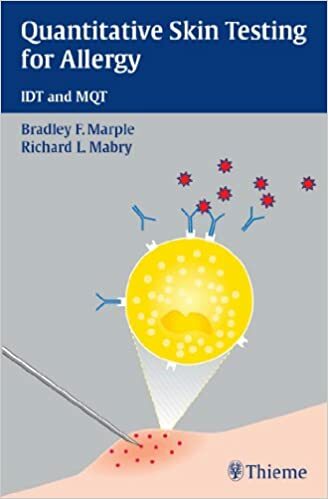 The book reviews the well-established methodologies of intradermal dilutional testing (IDT) and prick testing and then goes on to describe the indications and techniques for blending these approaches through modified quantitative testing (MQT). Each method is presented in a concise way, guiding readers from preparation, to application of controls, to application of antigen, and to titration. this handbook. The book also serves as a valuable preparation aid for the fellowship exam of the American Academy of Otolaryngic Allergy.